• Honored to have received the “Doing the Most Good” award from the Salvation Army; “Quality of Life” award from the City of St. Louis/SLDC; and a Marketing & Communications award in Public Relations from Boys & Girls Clubs of America. • This year’s Great Futures Gala attracted over 700 attendees and raised $575,000 – both all-time highs for the event! Stay tuned as the upcoming year will bring more exciting news to include an expanded footprint and impact on our kids and teens throughout the St. Louis region. Until then, stay plugged in by mentoring, volunteering, attending an even or spreading the word about the impact BGCSTL is having on youth ages 6-18 all over St. Louis City & County. Grab your colleagues and/or closest friends and join us at the BGCSTL annual women’s luncheon, Table for Four on March 2, 2018, 11:30 am – 1 pm at the Chase Park Plaza. In its 11 year history the event has raised over $300,000 to support the growth and development of our young women. Proceeds from this event support activities and experiences designed to help girls develop healthy lifestyles, positive self-esteem and make good decisions. Over 200 guests are expected to attend. The Joan Ellyn Silber Award for Volunteerism and Leadership will also be granted to one of our teen girls during the event. Co-chairs this year are Melissa Grannum & Michele Sowers. To register or for more information, click here. National charity partner Family Dollar invited Club members to participate in the Grand Opening of their new store located on Halls Ferry Road. Members helped cut the ribbon, greeted guests, talked to attendees about the impact a Boys & Girls Club can have on lives and received the $1,000 donation to the Club. During the District Manager’s speech he spoke about the word “family” and how Family Dollar is not only committed to serving families in the neighborhoods where they have a presence but included that community members such as BGCSTL is also very much a part of their family. Following the event, Club members enjoyed breakfast at IHOP. During the Youth of the Year process, the BGCSTL friends group, Friends of the Club, partnered with staff to facilitate professional development sessions and serve as mentors for the teen participants. They led sessions on essay writing, personal branding, public speaking and interviewing skills – all to groom the teens for their presentations. The partnership worked out so well that the Friends have agreed to continue their roles and commitment to the Youth of the Year teens and process in 2018. To join the Friends of the Club, click here. Next up from the FOTC, Casino Night! Click here for ticket information. Boys & Girls Clubs of America launched the first ever ALL STARS national step video contest last fall where Clubs across the country were invited to submit their best step routine videos in hopes of winning the national title. Thanks to everyone who voted for the BGCSTL Lee Hamilton Club. You helped them win 3rd place!! Local Club communities voted and narrowed down the entries to the top ten finalists. A panel of judges rated all finalist videos and selected the winner based on creativity, engagement, mastery/ skill level and presence. To see the BGCSTL video, click here. Each year at the opening of the Great Futures Gala, Club members are excited to perform and showcase their experiences with the attendees. This year, the featured production was a result of the BGCSTL Music Studio program – a partnership with Grammy Award-winning producer/songwriter Alonzo ”Zo” Lee who shows the kids all aspects of the music industry. The process starts with planning and writing and ends with a beautiful performance of the Club member’s music. In case you missed it, the Ferguson Club member duo Danielle & Troy performed the song they co-wrote during the program called “Confidence”. Click here to see the heart-warming performance. Thanks to a 21st Century CCLC grant, we are now serving teens at Hazelwood East High School. The program offers a wide range of high energy activities designed to improve student academic achievement and address the multiple needs and interests of children and families. Members of the program receive homework assistance, access to a social worker and guidance counselor, college and career prep, tutoring, ACT prep, engage in sports and music activities and more. For more information, call 314-953-7795. One of St. Louis’ most supported golf tournaments of the year, the Jim Butler Golf Charity Classic will be on June 18, 2018 at the Country Club of St. Albans. The event supports Club Health & Life Skills programs and will include afternoon tee times, lunch and on course goodies/snacks. Both courses will be available for the tournament. The tournament also helps increase awareness of BGCSTL programs and raises funds so our kids can live healthy and productive lives. To sponsor or register, click here. Thanks to mentors at Jefferson, Farragut and Adams Elementary Schools for their recent work with our youth – they helped them set goals for 2018, assisted them with preparing for their MAP tests and shared the importance of planning for futures at a young age. Happy Mentor Month to everyone whose serving in a mentor role! To mentor or volunteer, click here. Thanks to an ongoing partnership, twenty BGCSTL teen members from six Clubs will now have their first job —- working for the St. Louis Zoo. Through this youth employment program, Club members who completed the Club’s Junior Staff program will participate in Zoo-led workshops preparing them to begin work in the spring. In addition to regular check-ins with Club staff to guide them, the Zoo will also equip them with a mentor within the Zoo family to ensure the success of their first job. The St. Louis Zoo employment based program is now in its sixth year. The mission of the Boys & Girls Clubs of Greater St. Louis (BGCSTL) is to inspire and enable youth ages 6 to 18 to realize their full potential as productive, responsible and caring citizens. 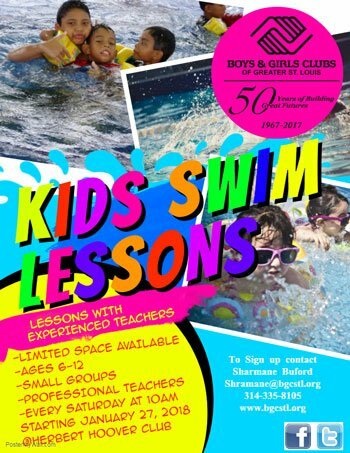 For over 50 years, BGCSTL has been providing after-school, teen, sports and summer programs to youth in the St. Louis area while also providing a safe place for them to learn and grow. The Clubs now serve St. Louis youth at ten locations (Adams Park Club, Ferguson Middle School Club, Grannemann Elementary School Club, Herbert Hoover Club, Lee Hamilton Elementary School Club, O’Fallon Park Club, Riverview Gardens Club and Hazelwood Southeast Middle School Club), within two High Schools (Normandy and Roosevelt High School) and five additional elementary schools through our Mentor St. Louis Program.